This 4-plex is a work in progress with the difficult basic work completed. The floors and internal walls were ripped out and the owner/contractor started from scratch. All new electric, plumbing, HVAC, floors, walls, paint, bathrooms, kitchens etc. See photos to gain idea of what is left to do. First floor is a 2 bed, i bath flat. The other 3 (2 on 2nd floor, 1 on 3rd floor) are 1 bed one bath units. Sale price if you want to wait for completion is $247,500. 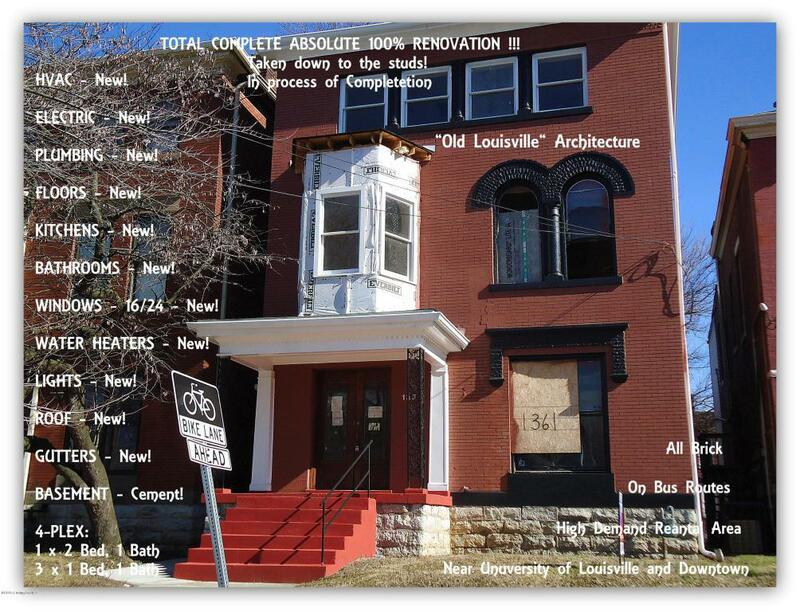 As of date of listing you can acquire this all brick 4plex for $205,000 and finish yourself or pay the owner/contractor $235,000 now and he'll finish it for you.